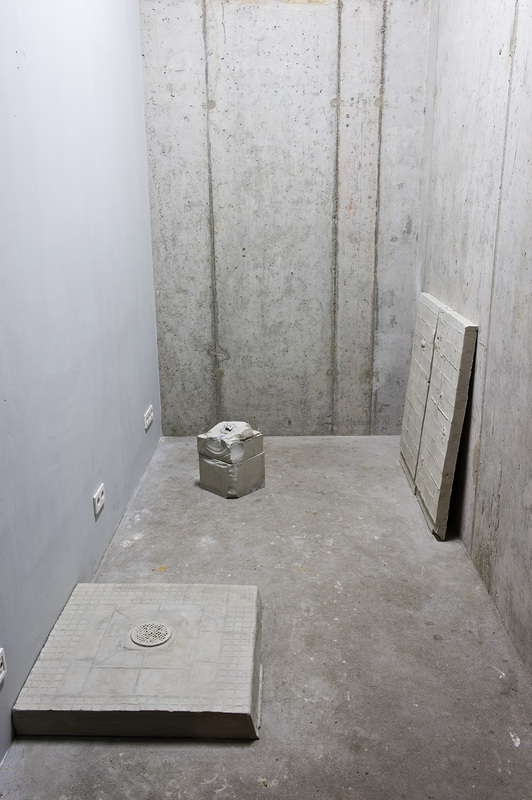 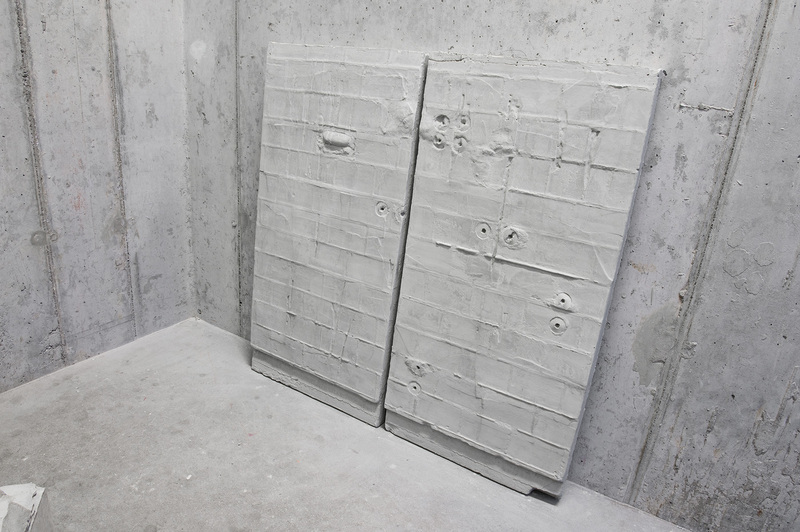 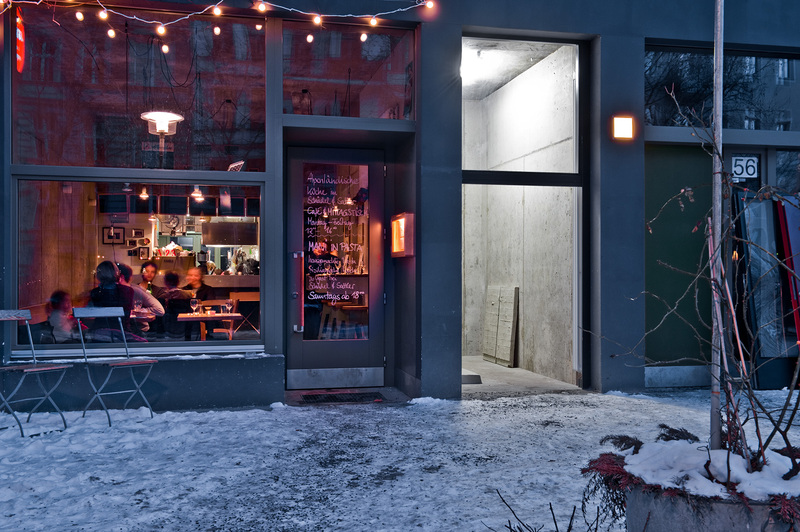 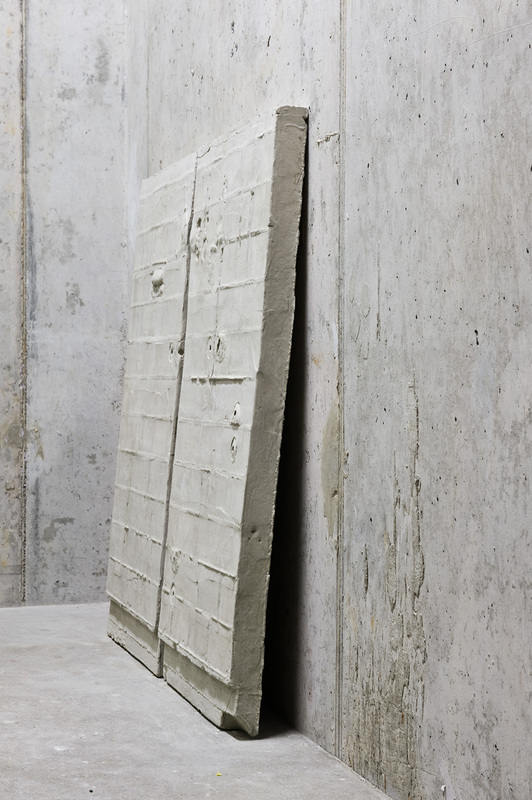 Die Raeume presents a small collection of concrete casts molded inside the shower cabins and changing rooms of the Stadtbad Oderberger Straße — the former public bath located next door to die raum. 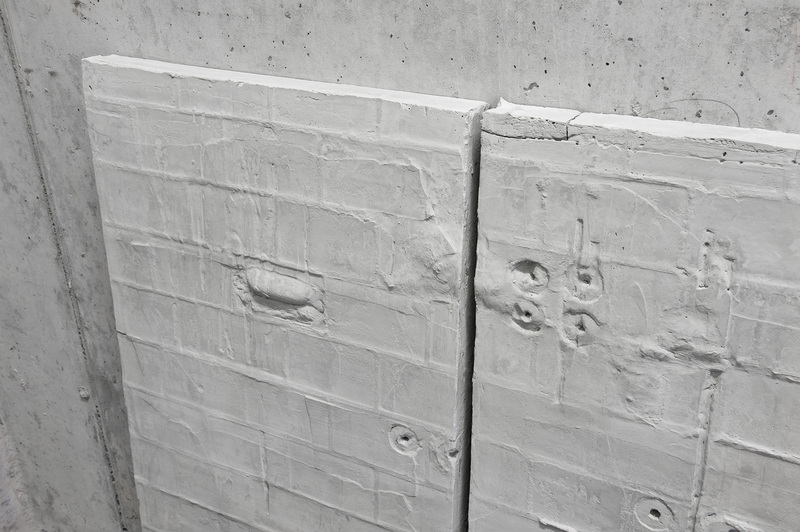 The casts poetically depict detailed sections of the old tile walls with traces of removed fixtures, as well as hollowed-out drainage cavities. 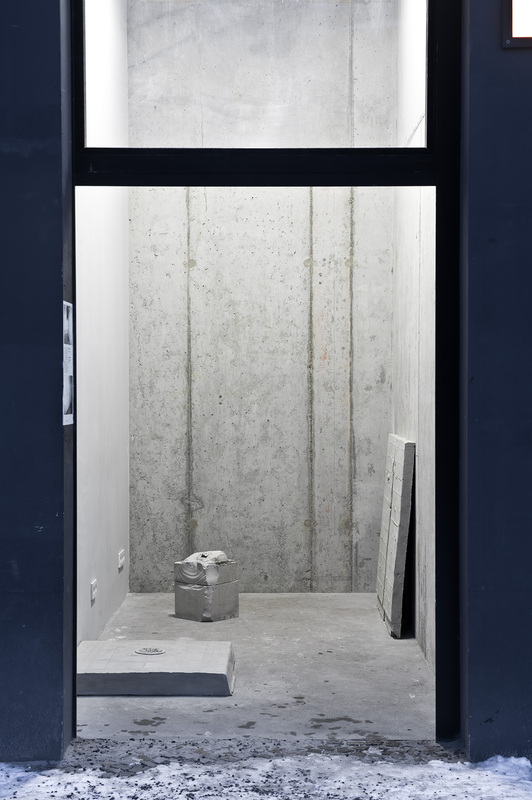 Referencing the concrete materiality of die raum and its shower cabin-like dimensions, the installation establishes a phys­ical and aesthetic link between the bath and the exhibition space, between a listed historical monument and a recently built room devoid of history. 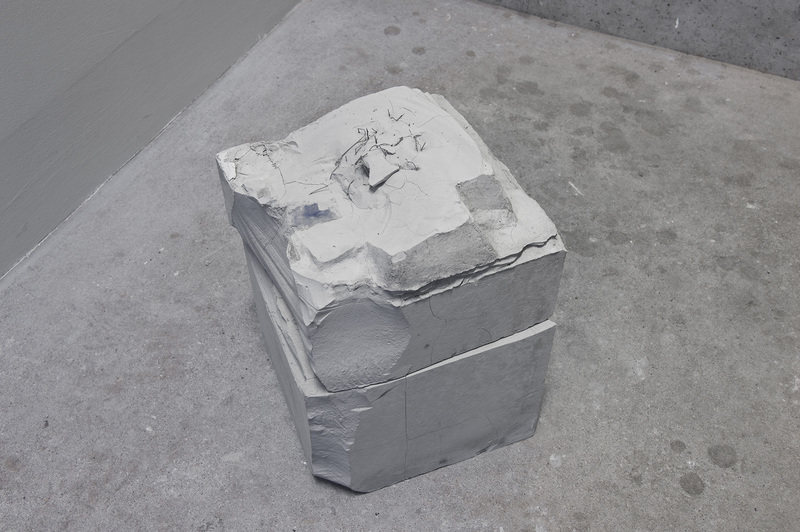 Die Raeume functions as a documentation or “salvage” of the otherwise un­no­ticed surfaces and cavities of an historic public structure before its im­pend­ing renovation and transformation into a new privatized entity. 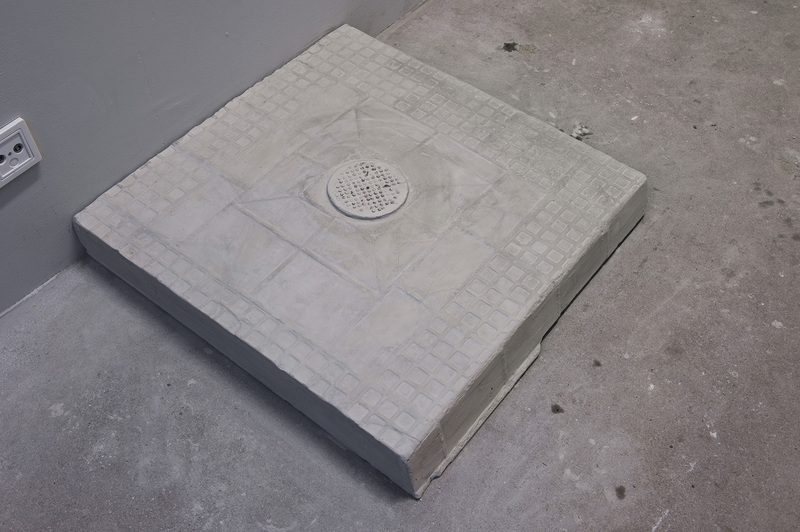 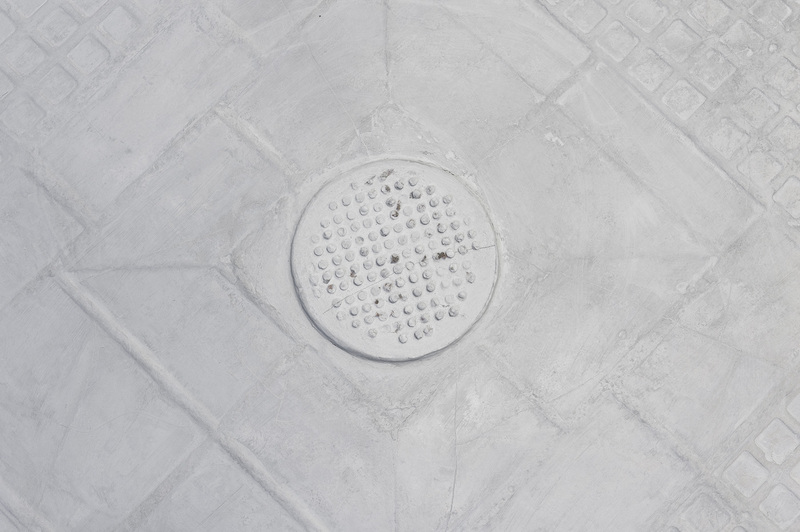 In his work Erik Smith often focuses on transitional sites, addressing moments of rupture and the frag­men­ta­tion of mean­ing underlying the processes of urban regeneration. 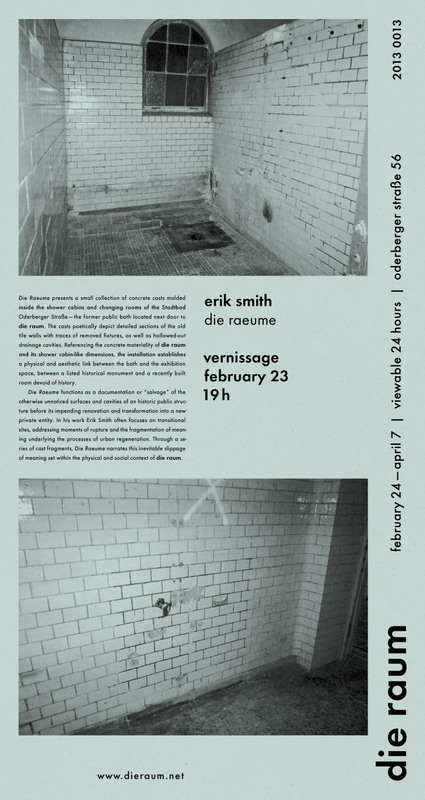 Through a series of cast fragments, Die Raeume narrates this inevitable slippage of meaning set within the physical and social context of die raum.